The Niagara Food & Wine Expo is gearing up for this year’s show with plenty of opportunities to sample fine food, wine, beer and spirits. Last year’s event — see here for coverage — was well attended with no shortage of tasty options to tantalize the palate. I’ll be there again this year, that’s me above, and look forward to sharing my experiences with you here at Wines In Niagara. Here is a recent news release about this year’s event. NIAGARA FALLS, Ont. 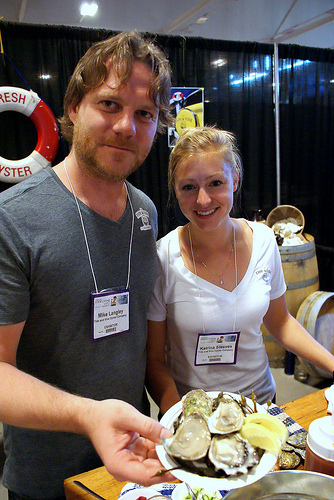 – The Niagara Food & Wine Expo is returning once again with fantastic grapes, hops and food for everyone. Event organizers are pulling in some of the finest grape growers, master brewers and winemakers from around the world to offer a full-blown food and wine experience, in which guests can sample wares from around the globe and learn more about wine firsthand from industry experts. The Niagara Food & Wine Expo is Niagara’s premier international tasting event featuring wines, beers and spirits from around the globe and stunning regional wines direct from neighbouring vineyards. The event runs from April 26-28 at the Scotiabank Convention Centre in Niagara Falls, Ont. The delectable samples will be served alongside fresh, local cuisine prepared by top area restaurants. Tutored Tastings are hosted by industry professionals including Kevin Brauch, known as The Thirsty Traveler and co-host on Iron Chef America, Christopher Waters, editor of VINES Magazine and InterVin head judge, and Mike Langley (above photo), owner of Tide & Vine Oyster Co. Each Tutored Tastings ticket also gives you admission to the Niagara Food & Wine Expo. On Friday, April 26, Kevin Brauch will delight you with at least eight of his favourite wines from around the world. 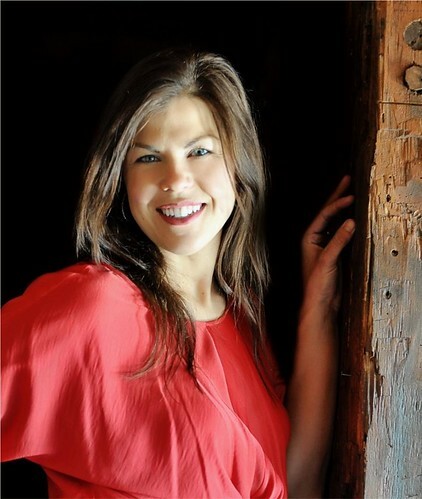 On Saturday, April 27, Christopher Waters will share highlights from the 2012 InterVin International Wine Awards competition as well as relevant tasting notes, pairing ideas and inspired stories from the winemakers themselves. That same day, Mike Langley and Peter Bodnar Rod from 13th Street Winery will introduce specialty pairings with VQA wines and raw oysters. 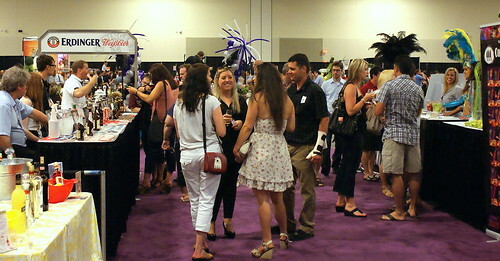 The Niagara Food & Wine Expo will feature more than 39 wine exhibitors, from homegrown VQA to other international grape varieties, capturing a variety of flavours to suit all palates. For some grape growers, the Expo is as close as their own backyards, but others have travelled from much farther distances to showcase their beloved wines. Homegrown wineries that will be providing samples at the Expo include 20 Bees Winery, Between the Lines Winery, GreenLane Estate Winery and Cornerstone Estate Winery, among many others. There will also be a wide variety of international wineries providing samples at the Expo, including Pitars from San Martino, Italy and Ktima Vourvoukeli from Avdira, Xanthi-Thrace, Greece. New this year is the Celebrity Live Auction that will be hosted by Kevin Brauch on Saturday, April 27 at 5 p.m., with proceeds supporting the Breast Cancer Society. 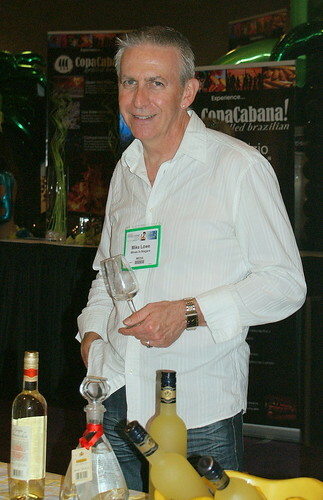 Guests will have the opportunity to bid on a 90-minute personal tour of the Niagara Food & Wine Expo, to be led by one of the industry experts: TV personality Kevin Brauch, wine expert Christopher Waters, Hernder Estates winemaker Lydia Tomek (above) or Sue-Ann Staff Wines and Megalomaniac Wines winemaker Sue-Ann Staff. 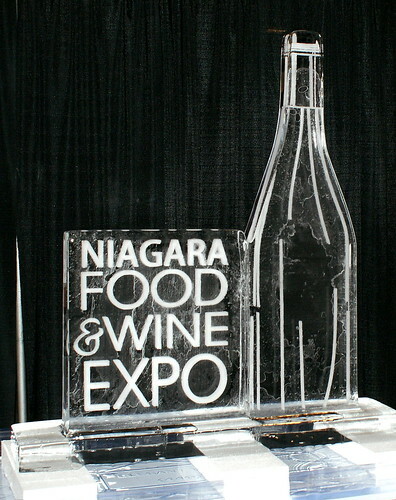 For more information on the Niagara Food & Wine Expo and Tutored Tastings please visit NiagaraFoodandWineExpo.ca. Buy admission tickets at NiagaraFoodandWineExpo.ca.